By adding milk, yogurt, dairy or dairy alternatives to smoothies made in your home smoothie maker, you will produce and even more creamy and delicious results. Careful choice of ingredients will ensure that the smoothies are still healthy and low in calories. To ensure healthy bones in young children and to protect from osteoporosis in adulthood, an adequate supply of calcium is needed and both dairy and enriched dairy alternative milks are a good source of this vital mineral. 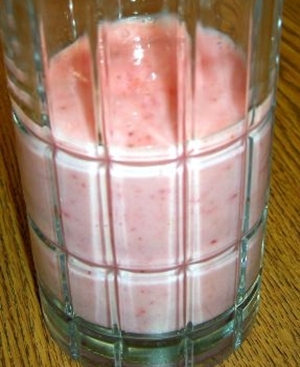 Careful choice of ingredients will ensure that the smoothies are still healthy and low calorie smoothies. Dairy milk is one of the richest natural sources of calcium available. Children who may benefit from additional calories could have full fat milk, but for the rest of us, it is probably best avoided because it is high in the saturated fats which we should restrict in our diets for the sake of our health. The full benefits of dairy milk are still available in both low fat and skimmed milk. 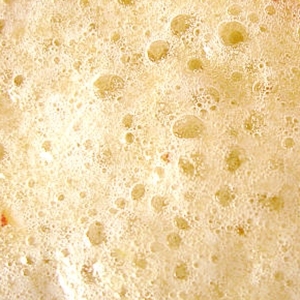 For an occasional and indulgent treat, cream can be added to smoothies. Crème fraiche or mascarpone also give excellent rich and creamy results. Children who may benefit from additional calories could have full fat milk, but for the rest of us, it is probably best avoided because it is high in the saturated fats which we should restrict in our diets for the sake of our health. Adding yogurt is another delicious way of making smoothies thicker and creamier. Some yogurts such as the thick ‘Greek’ type yogurts are high in calories so it is best to check before buying and choose one of the lower fat versions of these thick and creamy varieties. To add an extra dimension to smoothies, add fruit yogurts. Like milk, yogurt is also rich in calcium and can often be tolerated by people who have difficulty digesting dairy milk. Probiotic yogurts, sometimes called ‘live’ yogurts are the best sort to look for as these have huge health benefits to both the digestive system and the immune system. These types of yogurts are especially beneficial after illness or a course of antibiotics. High fibre yogurts which actively lower cholesterol are now widely available and make good additions to smoothies. Dairy alternatives are ideal for anyone suffering from lactose intolerance or who prefers to limit the amount of dairy products in their diet. Dairy alternative milks are widely available and are a good low calorie option. Dietary advice is that Polyunsaturated fats are a healthier choice and almost all nut milks (except coconut milk) are high in these. Soy milk is a great dairy milk substitute and is available enriched with calcium which is good news if it is drunk regularly instead of cow’s milk. Rice milk is a great addition to smoothies and shakes and is also available in flavours such as vanilla and strawberry. Rice milk is sweet and delicious and is worth adding for this reason although its texture is not as thick as cow’s milk. Non-dairy milks enriched with calcium are a good idea if these are regularly drunk instead of dairy milk and most soya milks now have as much calcium as cow’s milk. In conclusion, there are many delicious ways to achieve thicker and creamier smoothies and shakes and by careful choice of ingredients, these need not necessarily add more calories. I prefer to make my smoothies at home in my smoothie maker for this reason as I know exactly what has gone into the smoothies I drink and it is fun to experiment with different ingredients.